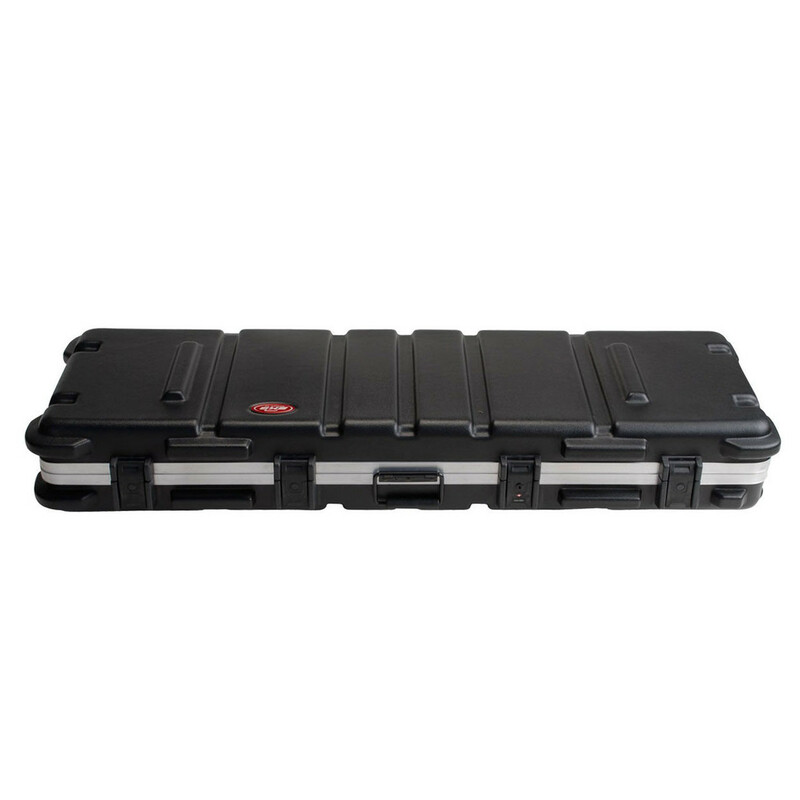 The SKB ATA 61 Note Keyboard Case is a highly-durable transport case designed for most 61-note keyboards. 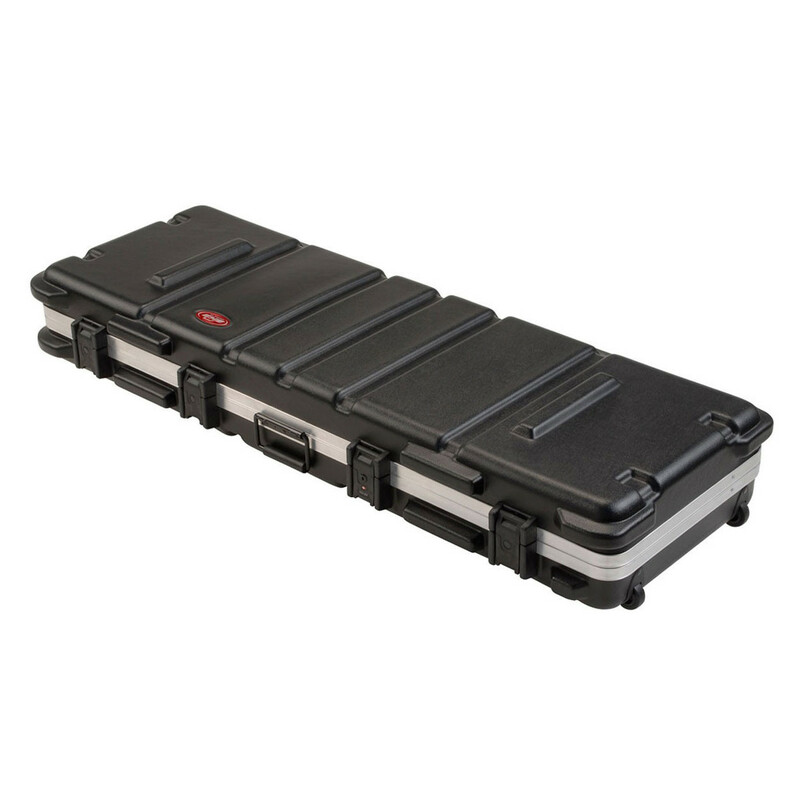 The case meets ATA Cat 1 specifications as an airline shipping container and features TSA locking latches, perfect for taking your instrument on your travels. The interior features a patented corner cleat design that helps to secure the keyboard in place at all times. The exterior features bumpers to protect valance and hardware plus built-in wheels for ease of transportation. This highly-durable transport case is the ideal solution for the travelling musician. 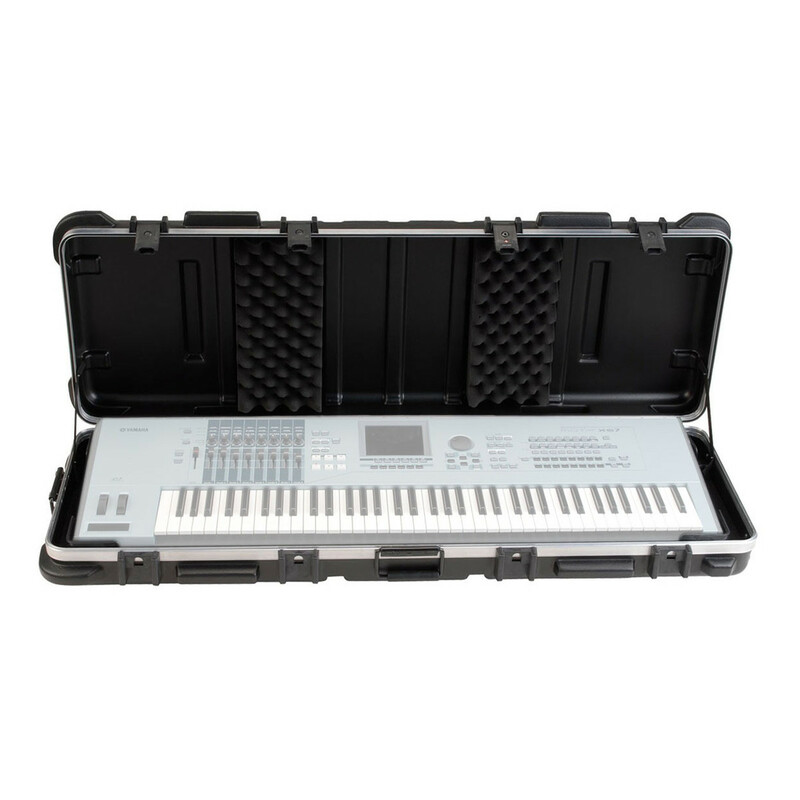 The case itself meets ATA Cat 1 Specs as an airline shipping container, plus it has TSA locking latches meaning you can travel with your instrument without having to open your case when passing through airport security. The patented corner cleat design holds the keyboard in place with protective foam featured on the lid of the interior. The exterior bumpers help to protect the valance and hardware from any impact damage making it highly durable and able to withstand the rigors of transportation and extensive use. Also featured on the exterior are convenient built-in wheels that allow you to transport your case and instrument with ease.